Organization and support of the transaction for the sale of dry cargo vessels registered in the RMRS. 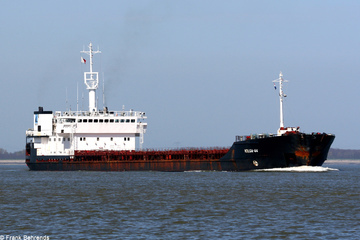 The trustee requested assistance in the sale of vessels Volga-44, Volga-35, registered in the Russian International Ship Register. Inmarine’s LLC ship brokers conducted work on identifying the buyer for vessels at a fixed price and, based on its results, negotiations with the interested buyer were started. St. Petersburg Law Offices "Inmarine" assisted in the negotiations of the Buyer and the Seller to agree on the price, legal and organizational terms of the deal on the sale of dry cargoes registered in the RMRS, with exemption from VAT payment, as well as the reflection of these conditions in the Memorandum of Agreement (hereinafter - Memorandum). Under the terms of the Memorandum, the transfer of vessels took place in Turkey, and registration of transfer of ownership was made by changing the port of registration from the seaport "Big Port of St. Petersburg" to the seaport of Taganrog and subsequent registration of vessels for the Buyer. After completion of registration actions, the vessel "Volga-44" was named "Zernograd", and "Volga-35" was renamed into "Salsk". All materials of present web-site including their design are objects of copyright law.